Sheffield-based utilities infrastructure firm, Fulcrum, has been recognised for its commitment to workforce development and customer service excellence after being nominated for an industry award. The company, which is up for four awards at the 2015 Gas Industry Awards, has seen its innovative and bespoke staff development programme, “Leading The Way”, nominated for the Leadership Award. 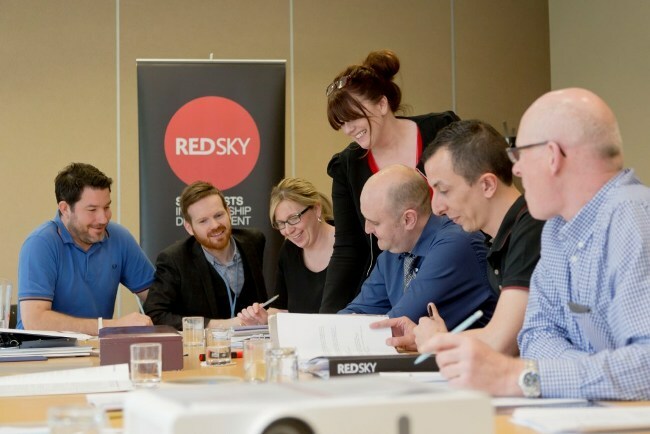 Developed in partnership with and delivered by leadership development expert RedSky Learning, which works with blue chip organisations such as Savills, Neals Yard and Pets at Home, the “Leading the Way” personal development programme has been instrumental in Fulcrum achieving record half-year operational profits with a greater focus on customer service and meeting their needs. Fulcrum has invested £60,000 in the nine-month programme, which has also seen the company improve its structure and re-shape its processes for its now 200-strong workforce. In addition to the Leadership Award, Fulcrum is also up for the Company of the Year Award and its chief executive officer, Martin Donnachie, has been shortlisted for the Manager of the Year category, with head of commercial, Carly Gilchrist, shortlisted for the Young Person’s Achievement Award. Martin Donnachie, CEO of Fulcrum, said: “Customer service and satisfaction is at the heart of what we do and by investing in a bespoke development programme, this has been instrumental in our recent financial and award successes. Our staff now have the confidence and attitudinal tools to deal with change so that the business can continue to be flexible in the face of future opportunities and challenges.